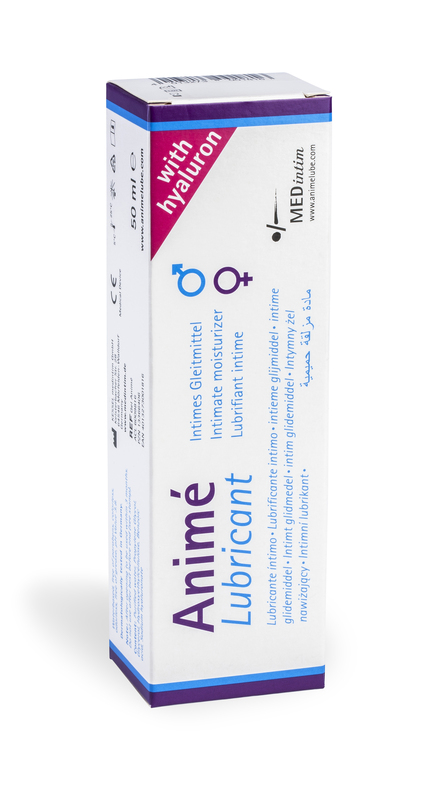 Animé is a lubricant and natural moisturizer containing Sodium Hyaluronate. It is water-based, pH friendly (pH 3.8), odourless, colourfast, free of silicon oil, parabens and animal based ingredients. It is safe to use with latex or polyurethane condoms and devices for aid made of silicon rubber. Naturo Pharm Arnica Cream is a low allergenic homeopathic preparation that assists the body's natural response to shock, injury, fatigue, bruising and aids normal muscle recovery. For temporary use only, external, at the moment of the intimate activity. May be used as well with devices for aid and products for stimulation made of silicone rubber. Apply directly or with fingers the desired amount of gel. Dryness can be caused by different indications such as breast feeding, menopause, stress, influence of pharmaceuticals, lack of oestrogen, diabetes, psychological disorder and others. External, at the moment of the intimate activity. Note: If you are trying to conceive, use Prefert Vaginal Gel which is especially formulated for this purpose. Purified Water, Propylene Glycol, Glycerol, Benzoic Acid, Hydroxyethyl Cellulose, Sodium Hyaluronate. Apply directly or with fingers the desired amount of gel. Do not use if you are allergic to or have known side effects to one or more of the indicated ingredients of this product.